Music that sways you like an slow, graceful couple. Story that hooks you like a fish gasping for air. Graphics that make you fall in love like that first saturday night date over a sundae. You walk through devastated environments and absorb all the tragedy that has happened because of The Calamity. Every time I open the game up the art swallows me like a warm blanket. It really may be the only game I consider mesmerizing. I listen to the soundtrack constantly. Each time I acquire a new item, a piece of folklore from Rucks materializes. Honestly, I really, really like this game. I haven’t seen the ending yet, but I don’t need to. I can just say that this is a game that should be on your “Must Play” list before you die. How would I quantify this game into a score? The art gets a near-perfect 9.5/10. The music gets an 8/10 for being so good, yet not having an in-game jukebox. The story gets an 8.5/10. Fulfilling, yet mysterious. 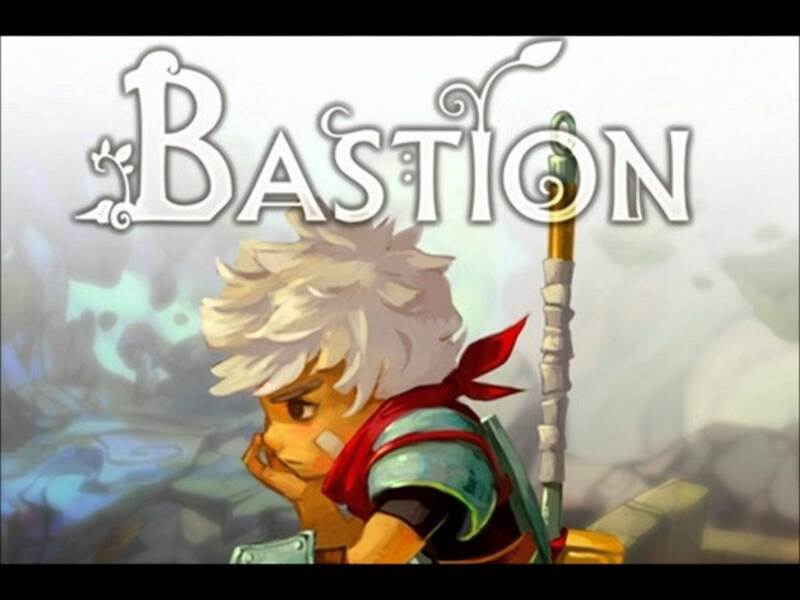 Overall, Bastion gets a score of 13/15. I have yet to play bastion, even though I own it on Steam. I need to really give it a bash. We are actually in the process of developing our own Indie Game. It really is an unforgettable game. Transistor is the same way. I’m going to be reviewing that soon in the future. I’ll be sure to check it out!